Tom Read Wilson, Christopher Biggins, Harriet Thorpe, Jenny The Vixen Ryan from ITVS the Chase and Miss Rory will Co-Host at the fourth annual A MAD Drag Night in aid of The Make A Difference Trust. They will join a huge cast of West End Performers from a variety of shows including The Book Of Mormon, Aladdin, Chicago, Dreamgirls, Hamilton, Wicked, Thoroughly Modern Millie, Tina The Musical and many more. Performers will Drag up in a delicious evening of variety and entertainment in what has fast become one of the West End Community’s favourite events. 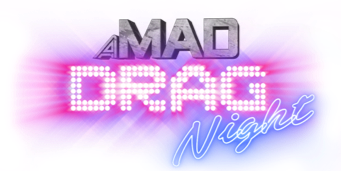 A MAD Drag Night will return to Cafe De Paris for two shows, and it is sure to be the biggest and glitziest MAD Drag Night yet. For almost 30 years the Make A Difference Trust has worked with partners in both the UK and Sub-Saharan Africa, to provide care, support, education and awareness to those living with or affected by HIV and AIDS.